Kuta EcoStay Guest House - Kuta, Bali, Indonesia - Great discounted rates! 7.9 out of 10 based on 91 verified user reviews via Agoda. The 2-star Kuta EcoStay Guest House offers comfort and convenience whether you're on business or holiday in Bali. The hotel offers a wide range of amenities and perks to ensure you have a great time. Free Wi-Fi in all rooms, 24-hour security, daily housekeeping, taxi service, Wi-Fi in public areas are on the list of things guests can enjoy. All rooms are designed and decorated to make guests feel right at home, and some rooms come with television LCD plasma screen, internet access ?ÛÒ wireless, internet access ?ÛÒ wireless (complimentary), non smoking rooms, air conditioning. Take a break from a long day and make use of garden. 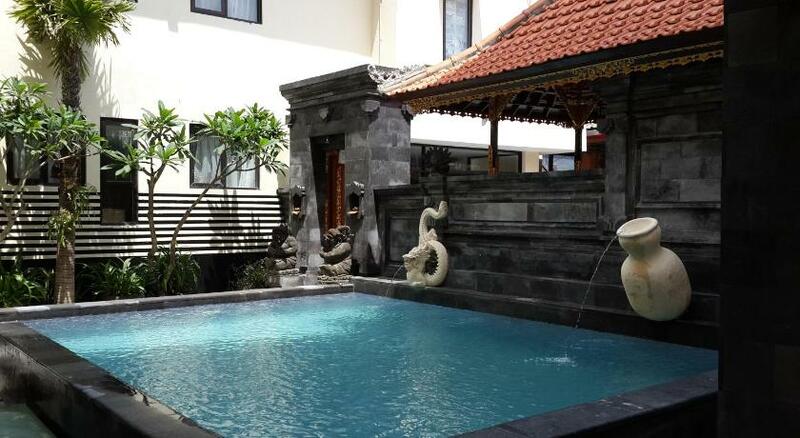 Convenience and comfort makes Kuta EcoStay Guest House the perfect choice for your stay in Bali. Kuta EcoStay Guest House - Bali classifies itself as a 2 star hotel.